I'm incredibly lucky to do what I do and I'm so excited to be a part of my good friend, Michelle's wedding. Not only do I get to attend this fabulous Crested Butte, Colorado wedding but I also was hired to design the save the date, invitations and reception stationery. It all started with a photo Michelle and Colin took on their phone (see below). Colin proposed to Michelle in Crested Butte so it was the perfect place for their wedding and the perfect inspiration for their printed pieces. I took the photo and created an illustration for the save the date postcard and then changed it up for the invitation to make it new for guests. 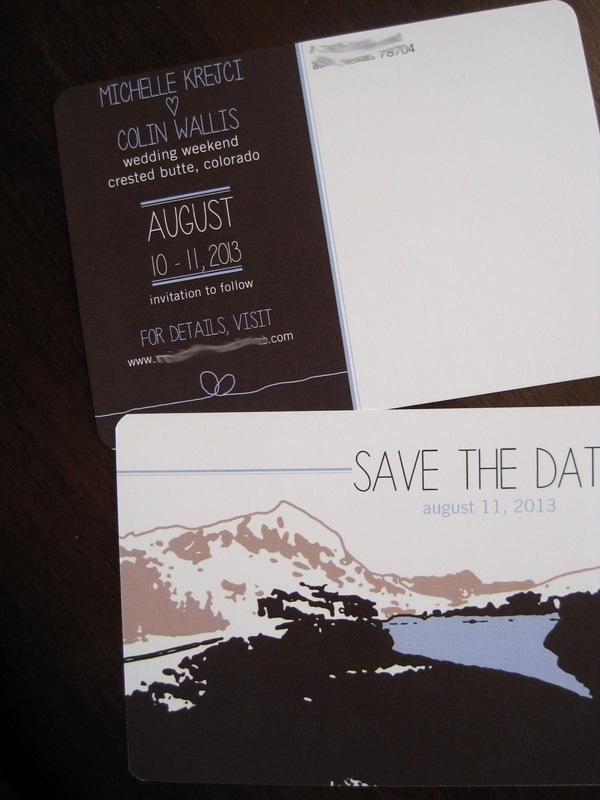 The wedding invitation suite is comprised of an invitation printed on aspen (perfect for Colorado!) 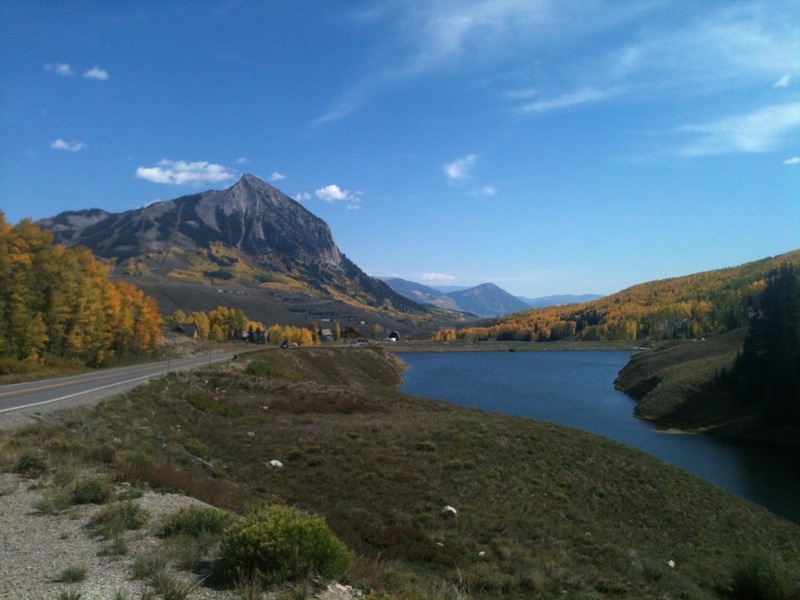 wood veneer. 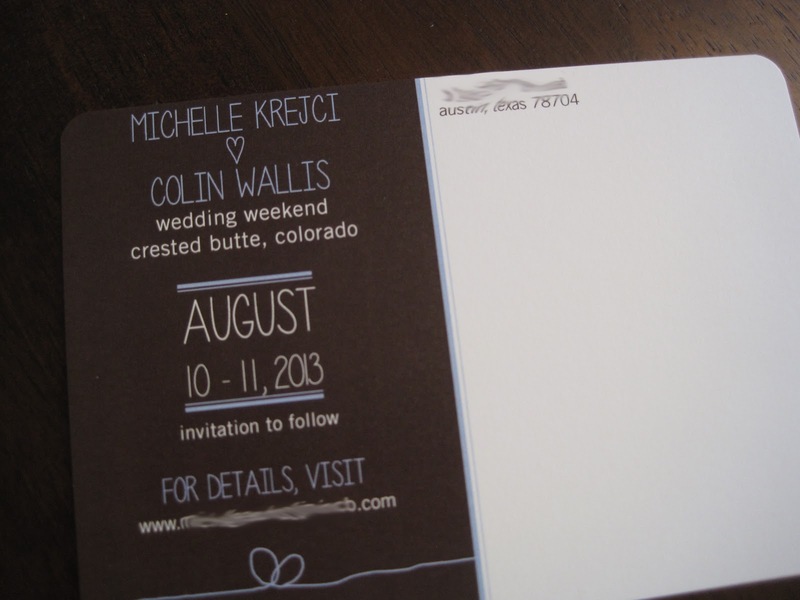 The response postcard, welcome card and website tag are printed on brown paper bag cardstock. Because there will be a bike parade to the reception, I incorporated a tandem bike illustration on the website tag. The website tag dangled from the jute twine that was tied in a perfect little bow in the front with the enclosure cards tucked behind.